And here it is. At last. The Proposal. But it comes from Toni, not Brad. Which is as it should be since she’s the one who’s had reservations all along. 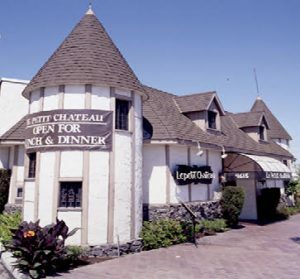 And it’s fitting it should happen at their fave eatery, Le Petit Chateau, which, as I mentioned before, is a real restaurant in No. Hollywood, CA. Who knew Frank and Nancy were such a boring couple? All they have on hand for a toast is prune juice? Really? Leave it to Shannon to save the day with her innocent, direct questions and her fairytale romance point of view. A drawing note: the very last image in this collection, the drawing of Shannon’s face as she says “perfect!” is one of those anatomically incorrect cartoon drawings that nevertheless look better than reality. 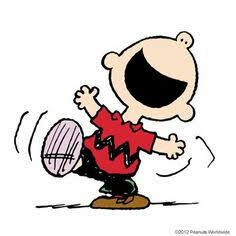 I’ve used this “happy face” numerous times in LUANN and I thank Charles Schulz for showing the way.